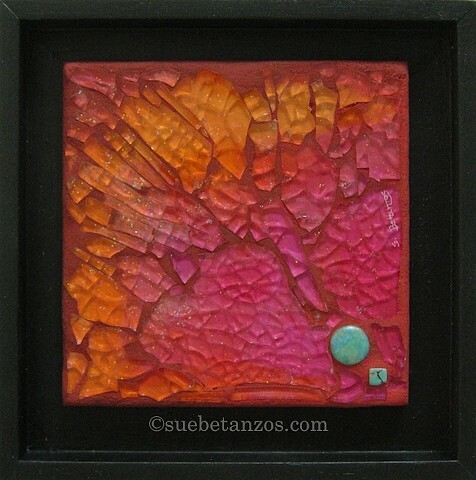 Glass contemporary mosaic Pink and Orange Nebula by Sue Betanzos. Rich sherbet, jewel tones, and turquoise beads glitter in this mosaic. Sunset colors. Hand tinted grout. Handcrafted black wood frame.